Post Home, a log building with a dedication Plaque inset in the stone chimney. "Fabbys" refers to employees of the Newburgh Fabrikoid Factory, which produced artificial leather and later bought out by DuPont. Address : 211 West Pioneer Ave.
helmets and bayonets on the top was originally created using real helmets and rifles. Address : Veterans Park, 13th St. W and Ply Dr. 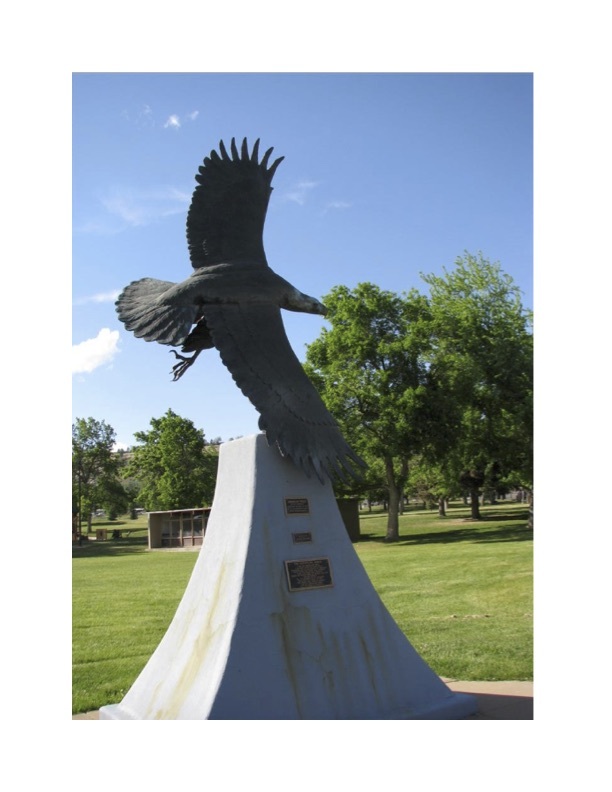 This is a bronze sculpture of an eagle, about 10 X 7 feet, with wings spread in a vertical direction. It is mounted on a pyramidal con­crete base. 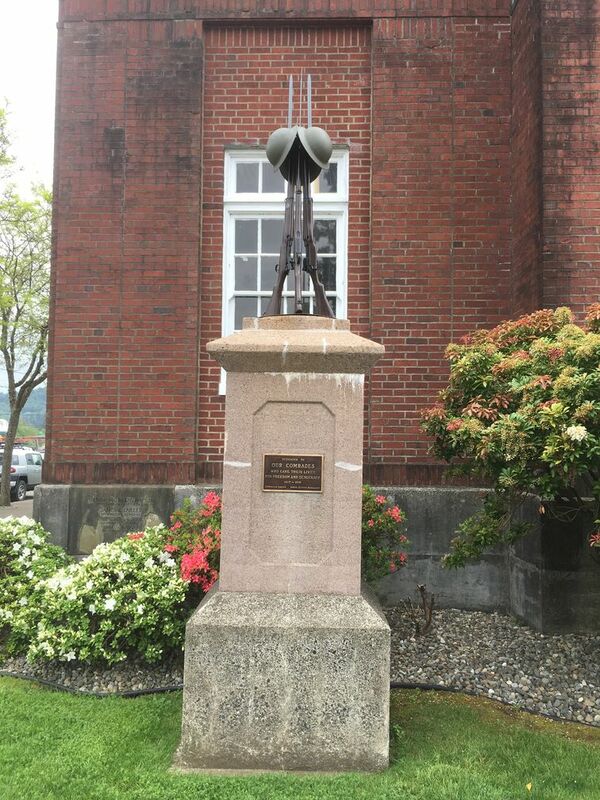 It was sculpted by Lyle E. Johnson, who gave it to the city in honor of the veterans of all wars. 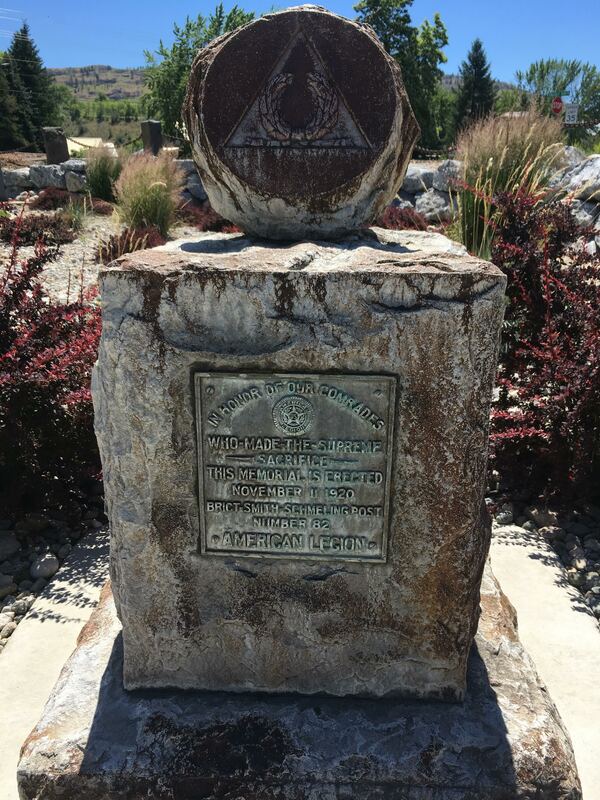 It was dedicated on May 30,1992. Address : 1798 Wall St.
which can be seen on the right side of the gallery picture. 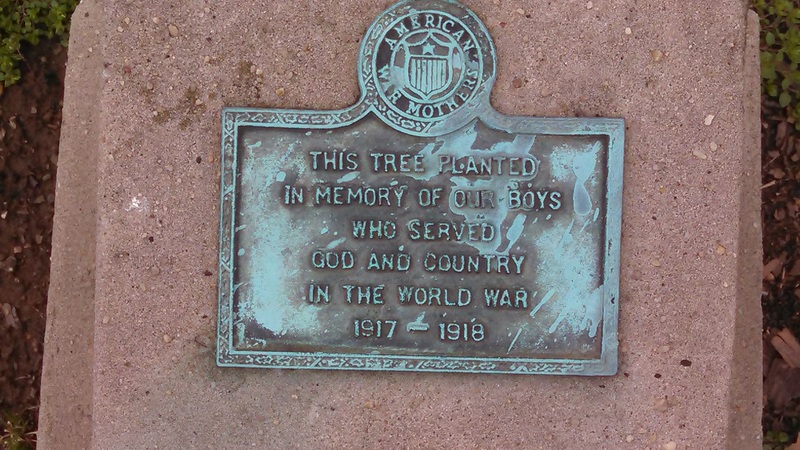 Description : Small block memorial describing the memorial tree as planted in remembrance of those men who served from 1917-1918. At the right-hand corner of the Tobin Center, when facing it, is a WW1 Memorial that is practically hidden among the landscaping and shrubs of the auditorium. It is near the intersection of Auditorium Circle and Jefferson Street. 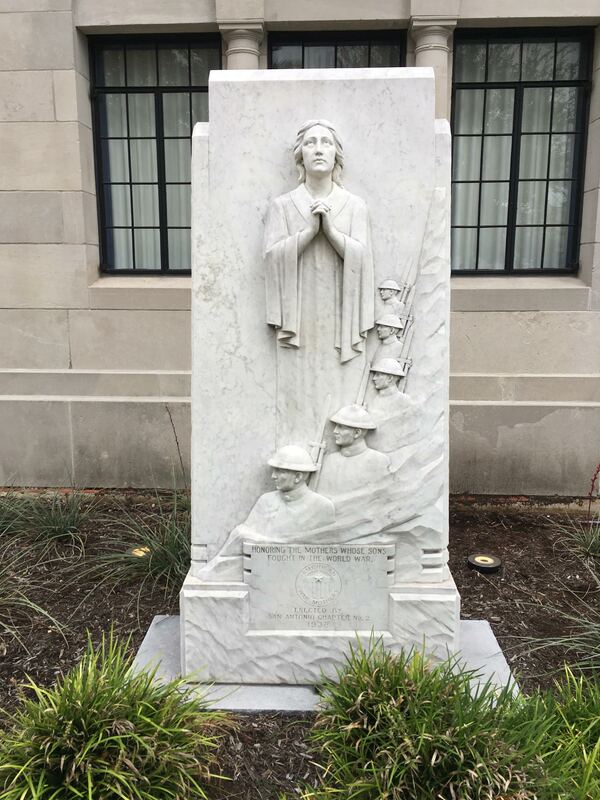 It is a white marble monument about six feet tall with a prayerful woman (a mother) surrounded on her right side with several "doughboys" wearing WW1 field uniforms, helmets and carrying their rifles with fixed bayonnets. 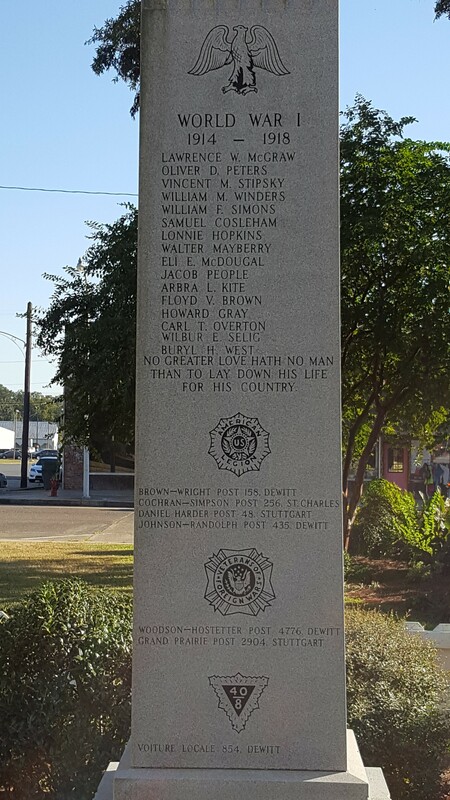 The inscription under this massive carving reads: “Honoring The Mothers Whose Sons Fought In The World War - Erected by San Antonio Chapter No. 2 - 1938”. The American War Mothers was founded in 1917 and was incorporated by an Act of Congress February 24, 1925. The AWM are a perpetual patriotic, 501(c) 4 non-profit, non-political, non-sectarian, non-partisan organization whose members are Mothers of children who have served or are serving in the Armed Services during a time of conflict. This often unknown or overlooked organization of mothers has had an impact on our nation and on the welfare of our Armed Service members. This is a worthy war memorial for those from WW1 on up to the present. Chapter #1 in Maryland, is still operating. Address : Triangle of Church, School, and Middle Sts. This is a full-length bronze figure of a Civil War soldier wear­ing an overcoat and cap. He holds a rifle, has a field bag on his right hip, and has a sword hanging on his left. Beneath him is a rectangu­lar stepped granite base. It was sculpted by Martin Milmore and was installed on December 9, 1871. 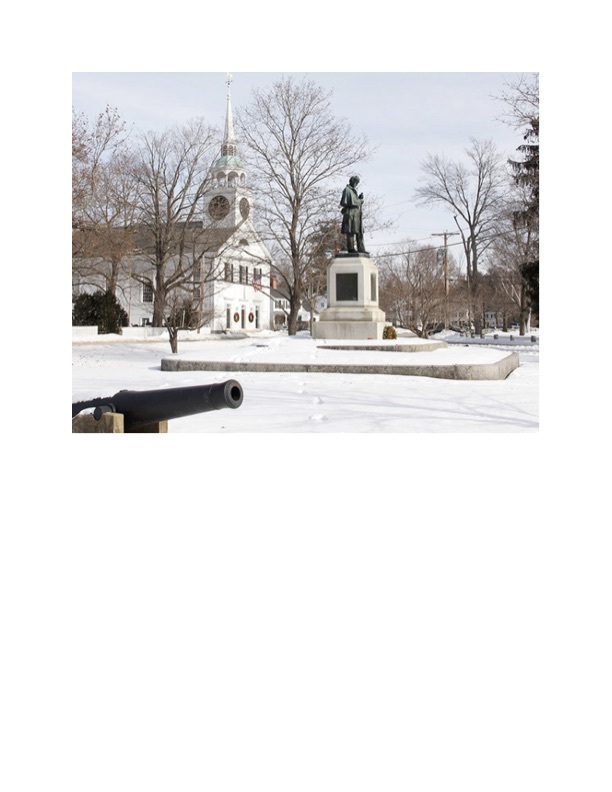 It was formally dedicated on June 19, 1890, in memory of the citizen soldiers of Amherst. 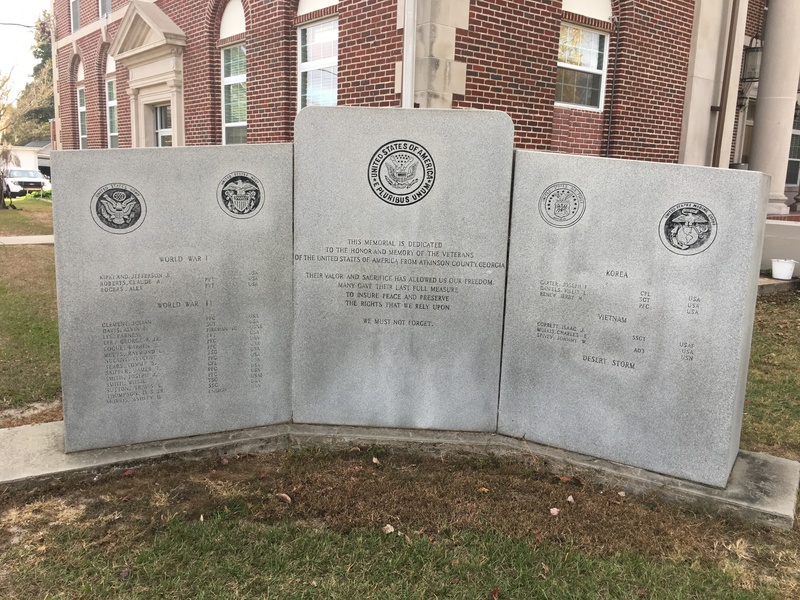 It was rededicated on July 4,1985, with plaques listing veterans of the Spanish-American War, WWI, WWII, and the Korean and Vietnam Wars. Address : West End Memorial Park, W. Main St. This is a life size bronze statue of a WWI infantryman whose right hand clasps the strap of a rifle which hangs at his side. His left hand rests at the top of a saber which hangs from his artillery belt. He wears a brimmed hat, leggings, and rolled-up shirtsleeves. 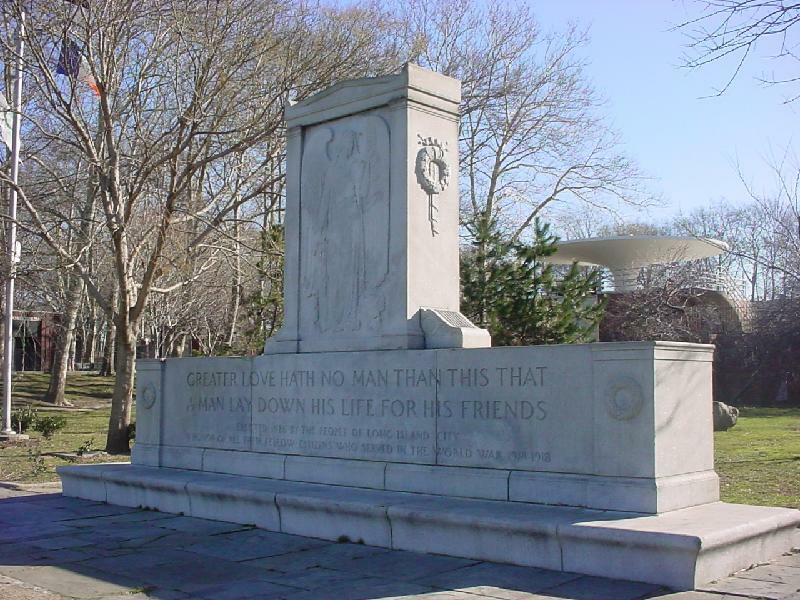 On the granite exedra base is a relief of a wreath flanked by images of flames and ea­gles' heads. 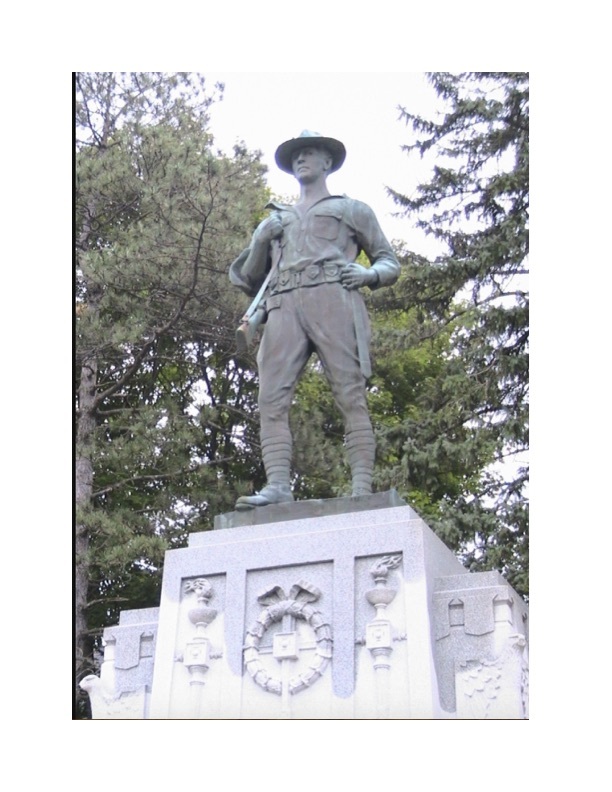 It was sculpted by David Cunningham Lithgow and ded­icated tin November 29, 1925, as a tribute to the 10 veterans of WWI. 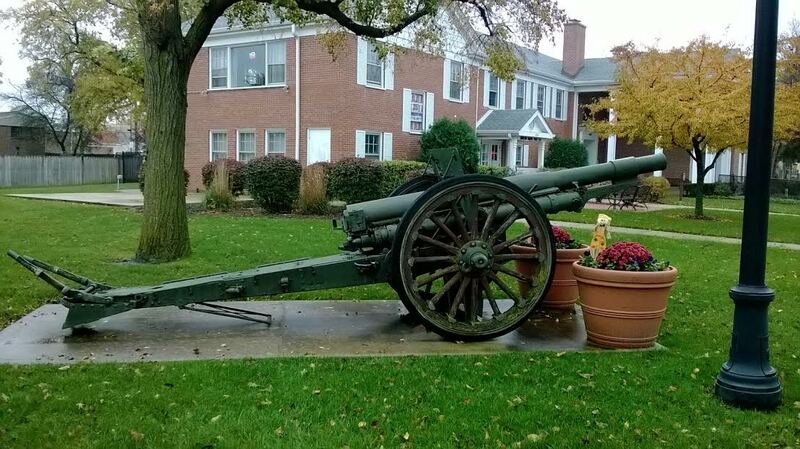 A "Big Bertha" cannon had sat in front of the sculpture, but it was used for salvage during WWII. The streets are alive with colorful caricatures from the city’s past, many that tell a story showing old modes of transportation. 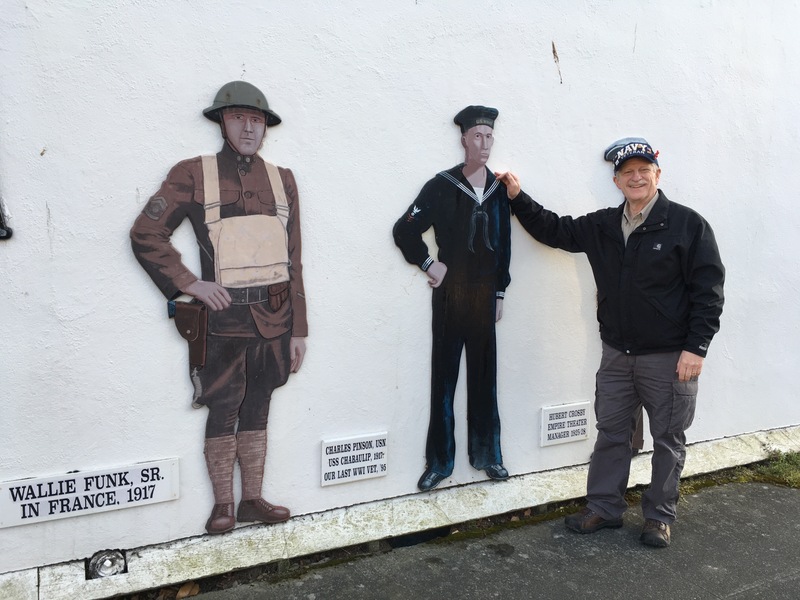 The brain-child of local historian and artist Bill Mitchell who, though wheelchair bound, has painted nearly 120 murals since 1984. Many are located in their proper locations, most in the old town area. Chebaulip, USN 1918-1919 (ex American S.S. Chebaulip, 1918). 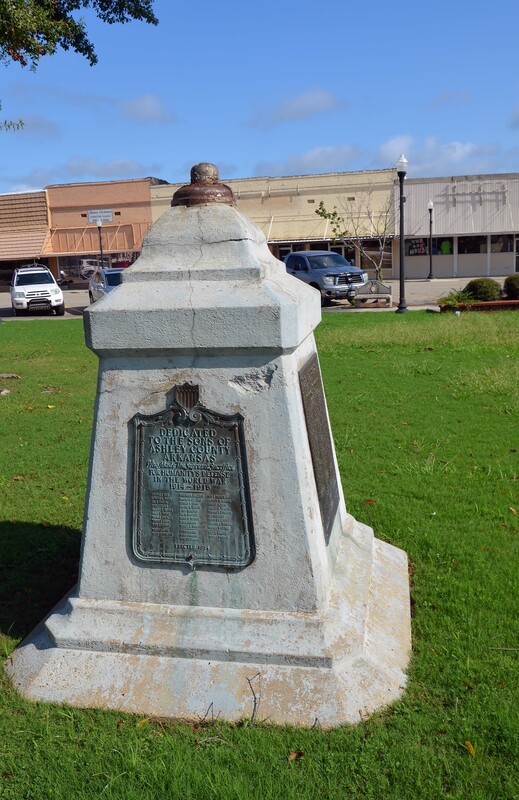 Ardmore Memorial Park is the home of Carter County Veterans Memorial Square and the Oil Patch Warrior statue dedicated to WWII energy workers. During the period from April 1920 through July 1921, the remains of many servicemen buried in Europe during World War I were disinterred. These remains were either reinterred in selected cemeteries in Europe or returned to the United States. Of these, the remains of about 2100 were reinterred in Arlington National Cemetery, specifically, in Section 18. 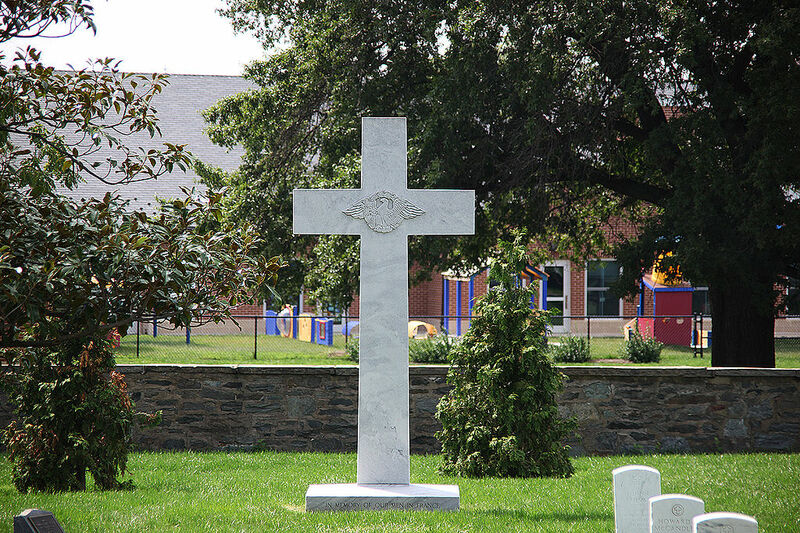 Through the efforts of the Argonne Unit American Womens Legion, the Argonne Cross was erected to their memory and in their honor. It is situated in the southwest corner of Section 18 and faces east. A grove of 19 pine trees are on 3 sides of the Cross (North, West and South). These trees are symbolic of the Argonne Forest where many of the men fought. At the juncture of the arm and stem of the cross is carved, in low relief, an eagle and wreath. Arlington National Cemetery is the final resting place for more than 400,000 active duty service members, veterans and their families. Service to country is the common thread that binds all who are remembered and honored at Arlington. 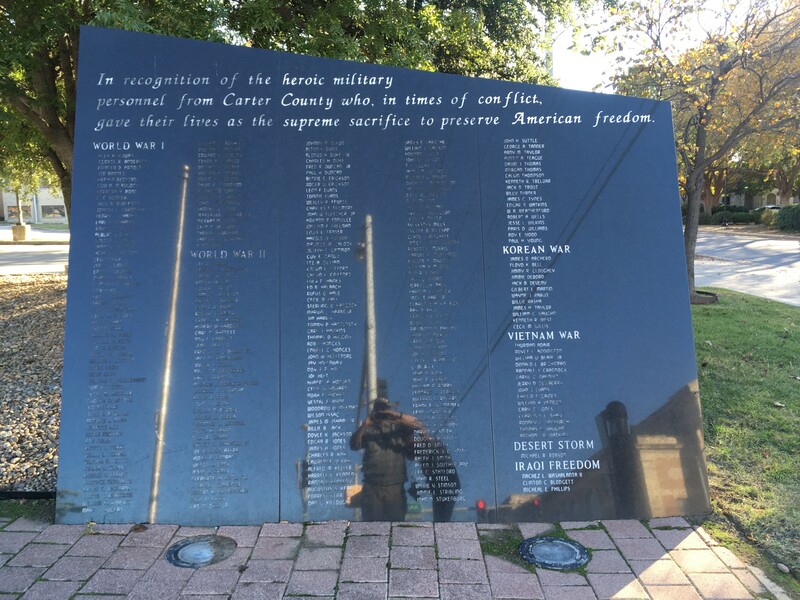 This memorial is part of the US Armed Forces Legacy Park, which honors veterans from every US war. The park also contains a plaque wall listing names of servicemembers from WWI as well as the Civil War, WWII, Korea, Vietnam, the Gulf War, and Operation Iraqi Freedom. 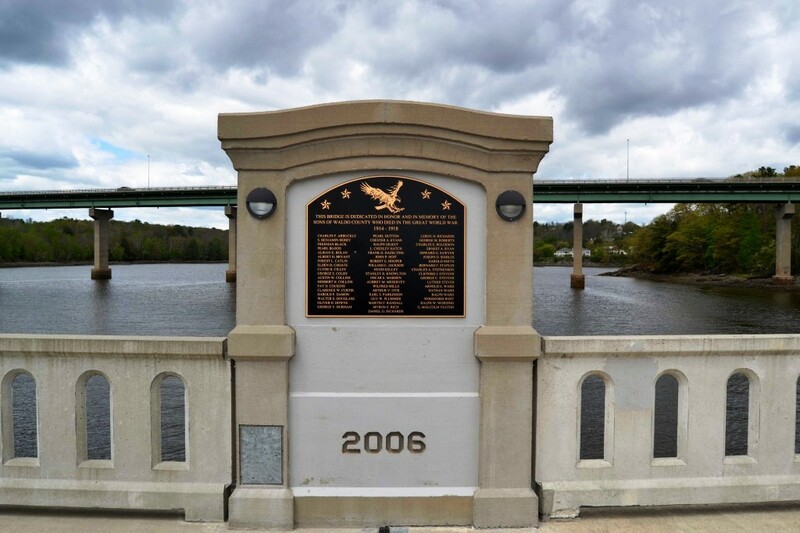 The Armistice Bridge was rebuilt in 2006 replacing the crumbling Memorial Bridge that was built-in 1921 and dedicated in honor of the sons of Waldo County who died in World War I . The 1921 Memorial Bridge was the largest memorial to World War I veterans in its time. 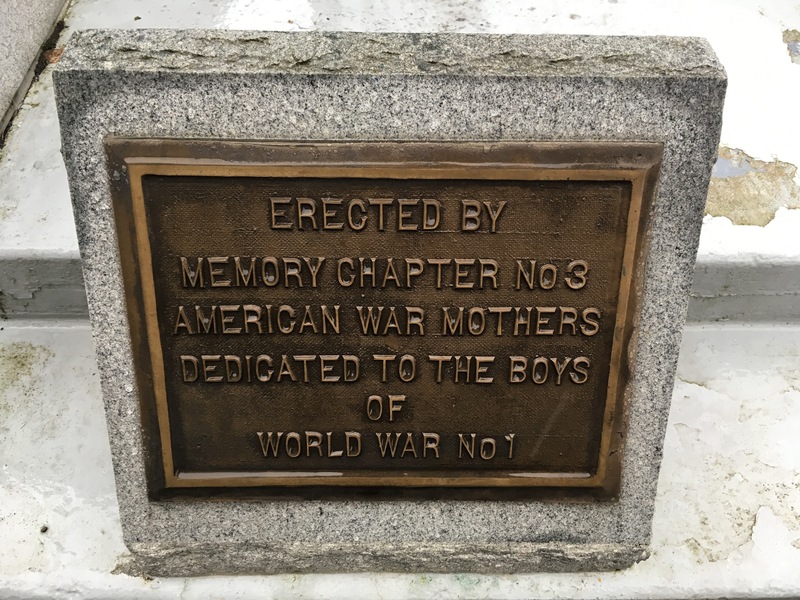 The plaque reads: "THIS BRIDGE IS DEDICATED IN HONOR AND MEMORY OF THE SONS OF WALDO COUNTY WHO DIED IN THE GREAT WORLD WAR" 1914 - 1918 Then lists the fifty five men there after. Description : The memorial is located inside Hamburg City Park. A Fourth of July editorial in the Asotin County Sentinal led to the adoption of a proposal by Doctor S.D. Brazeau to scrap the plan for a new steel bridge and in its place erect an eye catching concrete arch to memorialize the local men who lost their lives in the recently ended Great War. 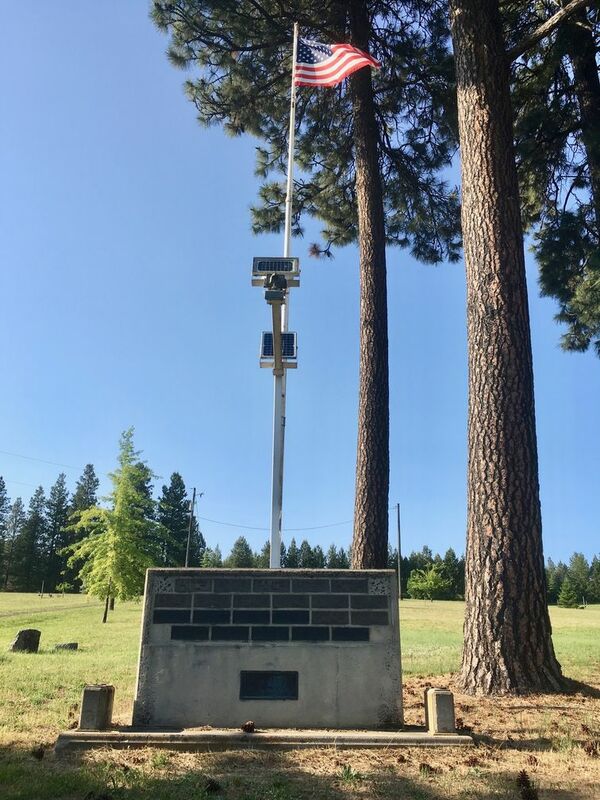 The more elaborate span would cost $6,000 more than the sum allocated for the original project and this amount was raised through a private donation campaign. 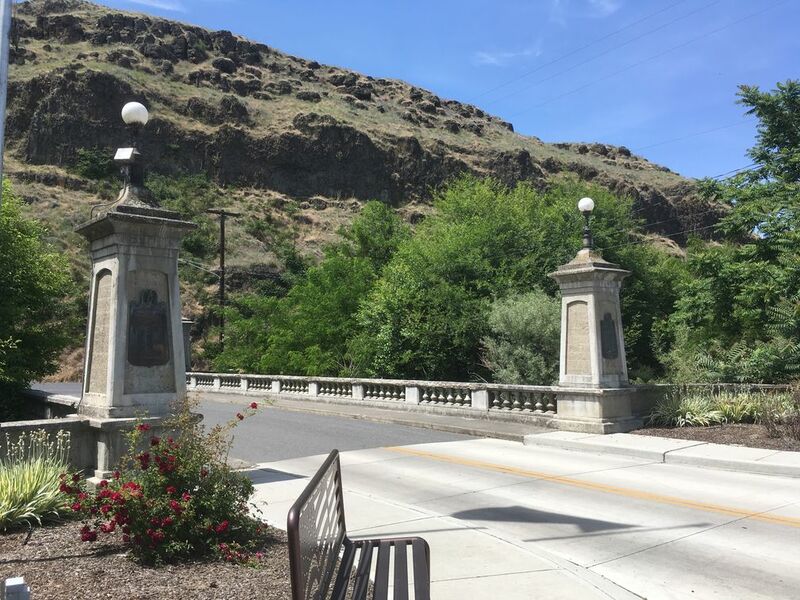 The first pledge was made by J.C. Halsey, whose son, Archie M. Halsey, was the last of seven Asotin County residents killed in Action.The finished bridge is a wide elliptical concrete arch topped by an ornamental balustrade. Four pillars with hammer brushed insets adorned with brass plaques listing the names of the area’s veterans and topped by Victorian street lamps mark its approaches.Each of the four plaques on the bridge have this inscription followed by a list of those Asotin County residents who served in “The World War”. Those soldiers and sailors who “Made The Supreme Sacrifice” are noted with a star. A smaller version of the bridge was constructed for pedestrians entering the community park south of the Memorial Bridge. Address : 13630 Georgia Ave. 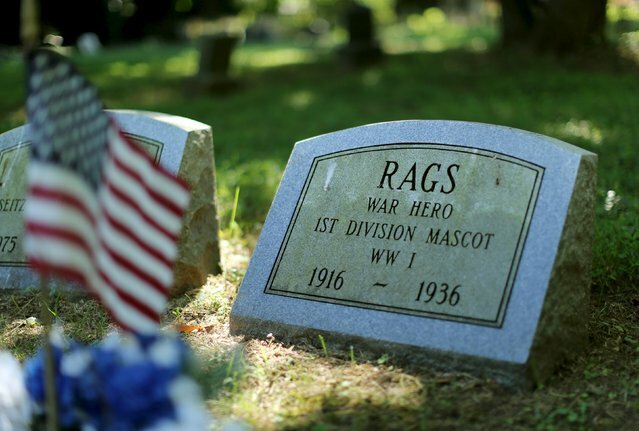 Buried here is Rags, the mascot of the 1st Division. He was considered to be a WWI war hero, and lived from 1916 to 1936. 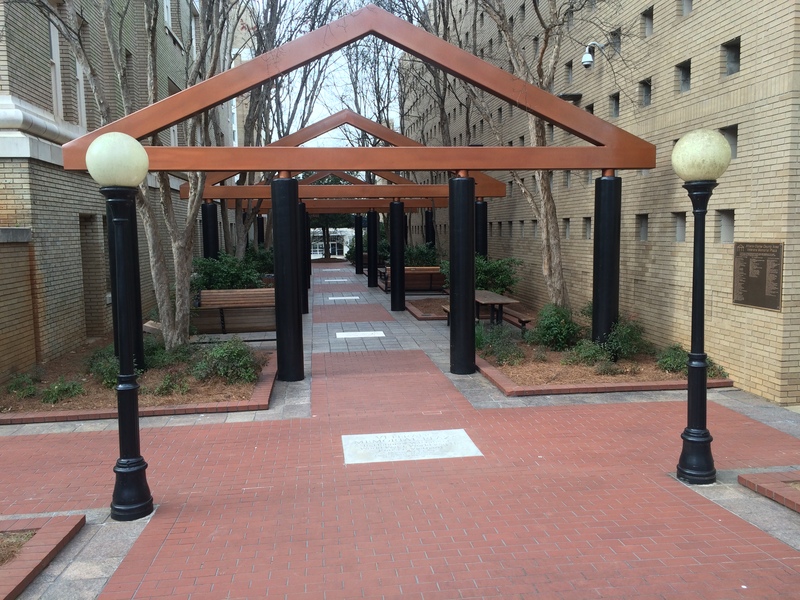 Description : A pedestrian plaza along the eastern side of the Clarke County Courthouse on Washington Street in downtown Athens, dedicated to the veterans of all wars. 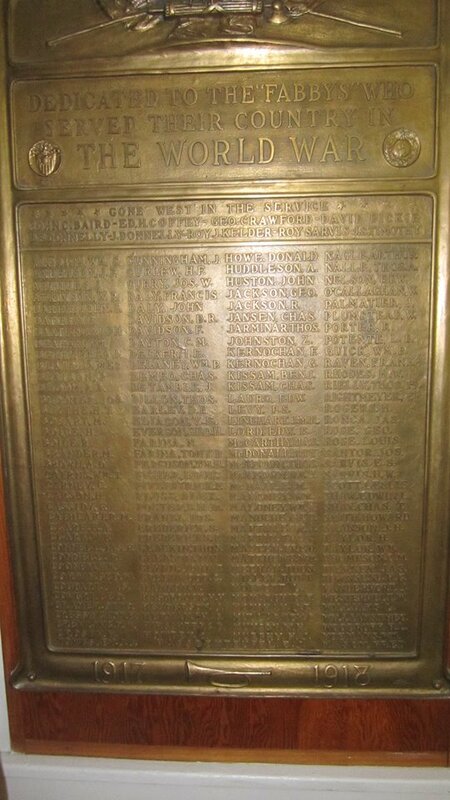 It is inscribed with the names of three WW1 soldiers.